It has been said that the skills required to operate one body shop location is vastly different than running several. I couldn’t agree more. I have seen many failed attempts to grow into an MSO by those that did not heed this advice. In one of my favorite classic business books, The E-Myth Revisited, Michael Gerber writes about the transition from technician mindset to that of a businessperson. These skills require that one becomes proficient at working on the business, instead of only in it. In my new book, The Secrets of America’s Greatest Body Shops, I compare the process of building a sustainable business model to building a franchise business. The idea behind franchising is to build a process that is so effective that you could sell it to someone else, and the buyer could duplicate your success without you needing to be directly involved. The problem with most business owners are they become so deeply engrained into the operational side of the business, that the business could not operate properly in the owner’s absence. This is clear to many of you that have found it difficult to even take a one week vacation without everything falling apart back at the shop. This problem is severely compounded when trying to expand into multiple locations, and it is a main reason so many businesses ultimately fail to survive. To begin the process of building consistency between multiple locations start with identifying and documenting best practices into a written standard operating procedure (S.O.P.) I recommend this primarily for the administrative work-flow covering all aspects of customer service, vehicle movement, blueprinting, parts management, file management, etc. The idea here is that if an employee from one repair location needed to fill in for an absent employee at a different location, the systems would be the same, therefore, any trained employee could fill in at any location relatively easy. I am a big believer in simplicity when it comes to standard procedures, having personally written manuals that were far too long and complex to get buy-in and consistent use by employees. I have since become proficient at creating simple playbooks that are very visual and simple to understand by the reader. A successful playbook is always created using lean thinking that removes unnecessary activities while always moving towards providing the customer with an exceptional experience. When it comes to the physical repair of a vehicle, a shop certainly can create a set of standards for processes such as which grit sandpaper to finish out body work, etc. I have found however, that many of the paint companies, and other material suppliers already have good information available that shops can use to gain the consistency between technicians and locations as they work on the vehicles. When it comes to creating operational standards or playbooks for the administrative workflow, shops can indeed create these themselves, but starting from scratch, can be time consuming. Shops can also check with their paint companies to see if assistance is available with SOP creation as some have templates you can use. My company, Elite Body Shop Solutions, creates fully customized operational playbooks for shops that either don’t have the time to do it themselves or just need some guidance. Regardless of how you choose to deal with it, just know that it will be nearly impossible to build a truly sustainable, stable, MSO without first designing your systems into a practical, simple, easy to use document. Having standards in place is only half the battle; it still requires a stout implementation plan. 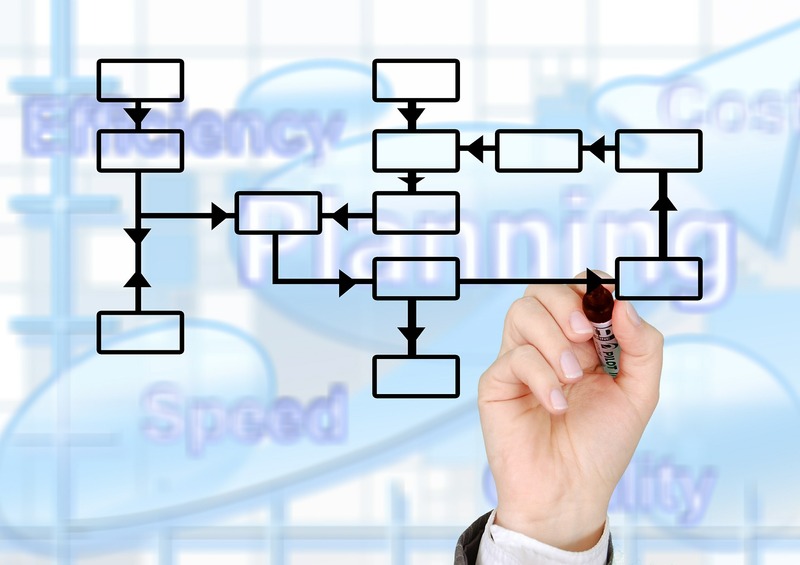 As most shops know, many, if not most, lean process implementation efforts fail. I have written volumes on the subject of how to master implementation, but let’s suffice to say for the sake of this article that a half-hearted attempt to implement a new operational playbook will definitely fail; you must go all in with a serious and preferably written implementation plan. A good plan should include some of the following elements. Assemble an implementation team and meet regularly. This team should include opinion leaders that are respected by the rest of the team. Decide what to implement first. I like to start with high leverage processes that will cause immediate improvement to many areas of the business. Then have a plan for what order to implement the other processes. Understand and create the vision to share with the team. Be able to answer why we are doing this and what the future will look like when successful. Involve the entire team to gain favorable buy-in. Create some short-term wins to create momentum and enthusiasm. I believe strongly that leaders often underestimate the level of process understanding of their team. It is important to remember that many employees will not readily admit that they don’t understand what you are teaching them. A good teacher will not only explain what the new processes are, but also will explain why they are important to the company’s goals. I typically find that employees that have been in the industry for a long time, often struggle with new concepts that are contrary to the processes they have been performing over the years. You have to teach old dogs, new tricks! When the training has been completed, it is time to give the team a test. A very simple, multiple choice test will quickly reveal the training gaps that need to be addressed. Large MSOs know the importance of this step as a crucial factor to their ability to grow quickly. Again no one wants to admit that they only retained 10% of your fabulous training, so make them prove it by testing! Now it’s time to test your process stickiness. Are people performing the steps that are laid out in the playbook? The primary role of the modern-day manager, and area/ regional operations managers is that of an auditor and coach. Successful companies that want to create consistency between locations, must inspect what they expect. It is an on-going process of visiting locations, seeking inconsistencies, and coaching the staff to close the gaps that exist between current behaviors and desired standards. I recommend using a standardized approach to auditing. I like to create and use auditing templates that are based on the critical to quality tasks within the playbook. In other words, I want to stay focused on the high leverage activities that if not performed, would have a devastating effect on the overall system. When it comes to creating MSO consistency, it is also important to create consistency in the level and frequency of accountability. For example, if the owner of a small MSO is willing to overlook small indiscretions of the standards, why would the same team take the area operations manager serious during his or her improvement requests? Everybody needs to be on the same page and willing to discuss, and coach people over even the smallest process over-sights. Good leaders can figure out how to do this without coming across as a jerk, assuming the leader has been trained to not make it personal, and instead focus on discussing the gap between current performance levels versus a known standard.